This is a very soft handling yarn. 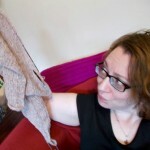 It is entirely synthetic but has no roughness, it doesn’t squeak when I knit it and doesn’t make my hands feel sticky. So for me this is a top quality acrylic type yarn. It is not too spendy for the amount you get at about £2-£3 (around $4-$5) a ball, depending on where you buy, as it has excellent yardage. No splitting, shedding of fluff or other undesirables when working it. It is also nice to crochet with. I have used at least 10 skeins of this yarn in a large project, and I’ve never found a knot or join in any of those balls, all of them have been very nicely spun. The feel is soft, delicate and very slightly fuzzy. It washes very well in the washing machine, stays true to knitted size after washing and blocking and is really durable. Finished items feel great next to the skin. I have absolutely no issues with this yarn and would happily use it again in my projects. 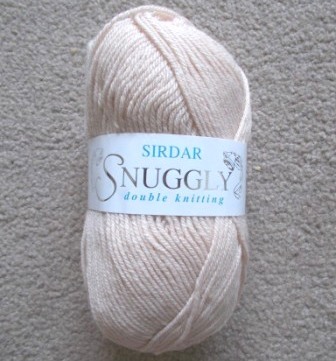 I just wish more physical retail outlets stocked it in a greater range of colours and would take advantage of the entire colour range produced by Sirdar for this yarn! 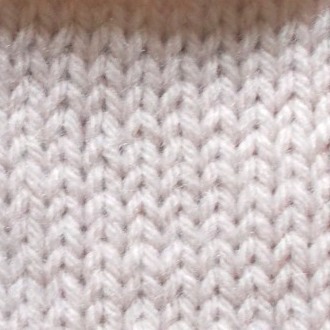 It is intended as a “baby” yarn so the pastel or lighter shades are more commonly stocked. Shopping online gives you a wider colour choice. RECOMMENDED FOR: Baby items, garments and accessories worn next to the skin, a nice choice for those with wool allergies looking for a great quality and soft acrylic option.